Siyabonga Mngomezulu better known as "CYA" was born in the dusty streets of Ermelo in Mpumalanga 1994 and moved to Dundonald 2001 due to his primary and secondary education. Like most rappers, he developed the love and passion for music back in high school, being close to his school friends always listening to hip hop music, artist like F Eezy, Maraza, Zulu Boy, Teargas, Pro, Red Button when playing video games. Something you should know about CYA, he's a great fan of video games. 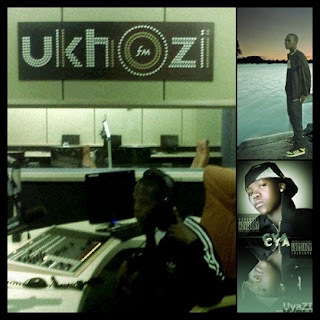 In 2009 CYA decided to start writing his own lyrics, record himself with his phone and let his friends judge him after listening to what he has recorded. Him and his friends approached some guy who owned a studio in their hood to record them. The guy agreed and they started working. After recording a couple of tracks in they guy's studio, they decided to buy their own equipment and also formed a group called "Game Quest". They made a name for themselves almost all around Mpumalanga, performing everywhere they can, holding online interviews, traveling, attending gigs. 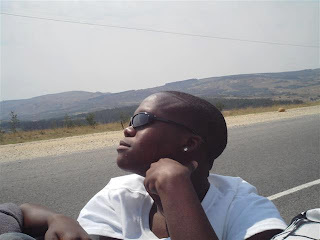 Early in 2011, CYA hooked up with Hopewell Makhubu better known as "McFAB" . They decided to do a song together featuring a guy called S_BO. CYA took giant steps to also push his solo music and decided to start a promo solo mixtape that featured many artists & producers from different provinces all over South Africa. He finished the mixtape in 2012 featuring the likes Of SiL, Swati KhingKhong, Froz, Dr Tragik, Live Wire just to name a few. All the mastering & mixing was done by S_BO. From there, the boy just clicked to the whole lot of people. According to him "Success is not just success for him, but for Mpumalanga as a whole..."
- Performed LIVE On Air And Got Interviewed On The Hiphop Show Called "Clever Unga Give Up" Hosted By Sbo, Tshatha Ugodo And Mojah Pooh. He Is Using 80% Zulu & 20% English In His Lyrics But Willing To Use Other Languages When Comfortable. . . Most He's Being Influenced By The Daily Life Challenges, Using Some Other People's Lives And His Life Expiriences To Compose Music. Secondly, He Get Inspiration From Other Artists Including Cats Like F_Eezy, Molly, Sbuda P, Mickey M, Lungelo, Zakwe, Pro, KO (Teargas) . He Is A Prolific Music Writter, His Style Is Palatable And Matured Enough For His Age, Geared For The Radio. Promisingly Appeals To A Wide Audience But Yet Has A Bit Of Kasi Flavour And Gritty With Catchy English Hooks. Still Indipendent Working Under "Nabalabantfu Entertainment" Owned By Delani Mofokeng Who Is Currently Managing Dj Euphonik .